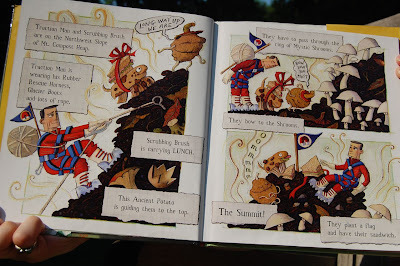 A little while back, I posted about Elisha Cooper’s wonderful picture book Farm. 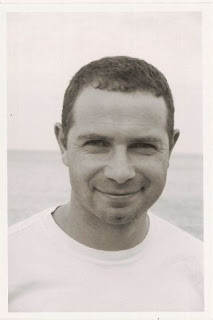 As I mentioned then, I’ve been a fan of the author’s work for some time now, so I’m particularly thrilled that I had the chance to ask him a few questions recently for this blog’s very first (of many, I hope!) author interview. Many, many thanks to Becky Amsel of Scholastic for facilitating everything…and many more to Cooper himself for his frank, well-considered responses. 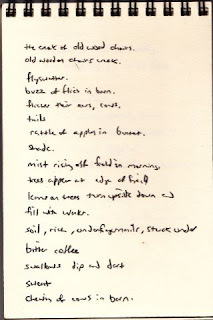 And then even more than that to both of them for providing me with the excerpts from the Cooper’s notebook for Farm shown below. 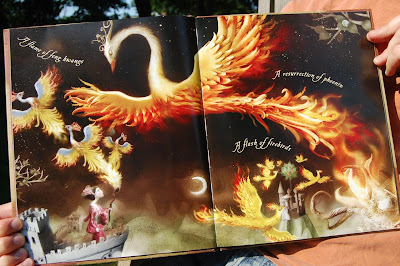 You Know, for Kids: How did you come to writing and illustrating children’s books? Was it something you always wanted to do, or was there something specific that drew you to them? Elisha Cooper: Someone suggested it. I wish I could say I always wanted to write children’s books. What I always wanted was to play football for the Pittsburgh Steelers. But I have always loved drawing, and I’ve always loved writing. Children’s books are a nice combination of the two. After college, I worked at The New Yorker as a messenger, and when I was delivering manuscripts and art around the city I was sketching, and that became a book called A Year in New York. It was after that that someone suggested I write children’s books. In any case, carrying a notebook is something I did when I was young, and something I do now. That hasn’t changed. 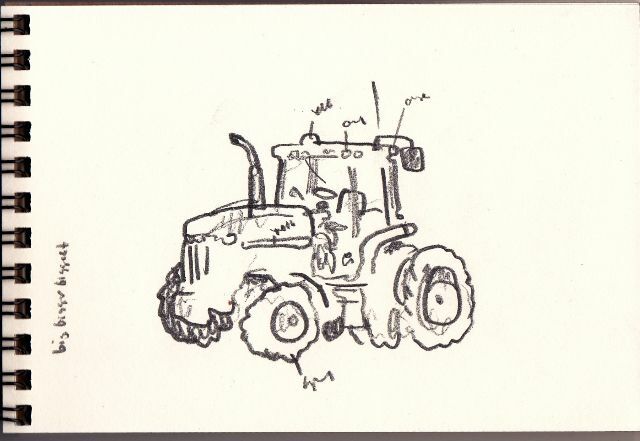 It’s what I did for Farm, driving out through the farm country of DeKalb County, Illinois, pulling over in my car and sketching barns. I still play football, too, though not as much as I’d like. And not for the Steelers, except in my dreams. YKFK: What authors and/or illustrators in the field (past or present) do you consider your biggest influences? And what are your own favorite children’s picture books, if that’s not a redundant question? EC: I loved Edward Hopper growing up. I loved his watercolors. I went through a Van Gogh phase, too. And I liked Picasso, for that goat. Mostly I like artists for their sketches. When I see a show—I went to the Picasso exhibit at the Metropolitan with my two daughters a few weeks ago—I’m always drawn to the sketches that were done before the finished painting. They’re better, rougher. For writers, I loved Ernest Hemingway (embarrassing to admit liking Hemingway, but he could really write a sentence). I think I read a lot of Tintin and Asterix, too. But wait! Looking above, I realize I’m mentioning artists who aren’t children’s-book artists. (I ducked the question.) I think that says something. I don’t think there has to be a distinction. Good art is good art. Bad art is bad art. So I remember loving Ferdinand for the art, along with In the Night Kitchen and Blueberries for Sal, for the same reason. The artists I admire now are ones like Peter Sís, Barbara McClintock, and Kevin Henkes. YKFK: Farm is the second book of yours I’ve read with my kids (after Beach) that uses momentary or day-to-day details to capture the feel of the big-picture subject. Looking over your past work, I see that theme seems to run through many of your other books as well (Ballpark, Country Fair). 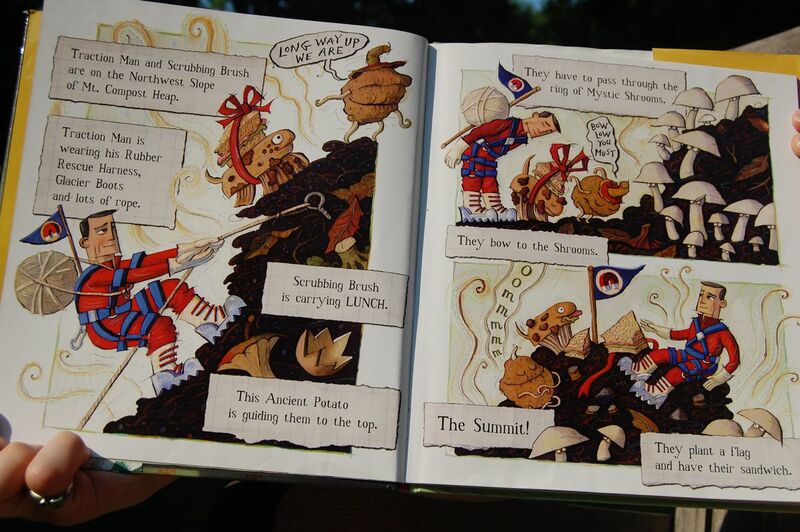 Is that how you go about these “big subject” picture books from the start—building the whole out of the details? Or is it more just a technique you use when executing them? EC: I wish I knew what my technique was! But I don’t. 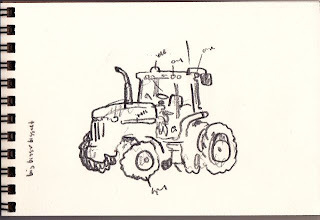 I just go to a location and start sketching, as I did with Farm. I accumulate details, really. Then I choose the ones I like, add them up, and mix them around, edit. Maybe there’s a theme there, or a technique. I don’t know. I’m just looking for anecdotes, or gestures or images, that amuse me. Or that tell me something. I guess you could say I’m a believer in how little things add up to make something bigger than the thing itself. YKFK: You started writing children’s books before you had kids yourself. Do you feel that your work on them, or your approach to them, has changed in any significant ways since your kids were born? EC: No clue! If I had a psychiatrist or a psychologist, they could probably tell me. (I’m actually married to a psychologist, a professor at NYU, but she isn’t talking.) Not to punt on another question, but I don’t think having children has changed my work, though I do like showing my daughters the finished paintings I tape on our apartment walls at the end of the day. And I suppose my girls like the little notes about them that I placed in Farm, or the fact that I dedicated my most recent book, Beaver Is Lost, to them. Maybe having my daughters has made me proud that I write children’s books. YKFK: When I look at your illustrations, words like calm and peaceful pop into my head—which is, at the surface level, surprising for an artist who has lived most of his recent years in cities like Chicago and New York. But even your big-city scenes have a certain quietude to them. Do you seek that contrast in your work? Do you not even see it as a contrast, particularly? EC: Calm and peaceful: two words no one would ever use to describe me! Really, ask my friends. Crude and opinionated, maybe. Or loud and stubborn. Or, well, you get the picture. But I am also quite aware that my watercolors have a peacefulness to them. Ah, the paradox! And yet, this is not something I control. It’s just what comes out of my pencil and brush. I think it’s especially paradoxical that I paint my books to loud music: Green Day and the Shins and Vampire Weekend. It’s possible—though this might be a stretch—that my paintings are my attempt to reach a calm, peaceful place. I must have one, deep down. I have my doubts, though, especially this month, as I pace around our apartment, painting my next children’s book, but all the time swearing at the television and the terrible soccer games in this year’s World Cup. Really, the soccer is driving me crazy. Daniel Pinkwater has been writing children’s books for a long time. Long enough, in fact, that I remember reading some of them back in grade school. 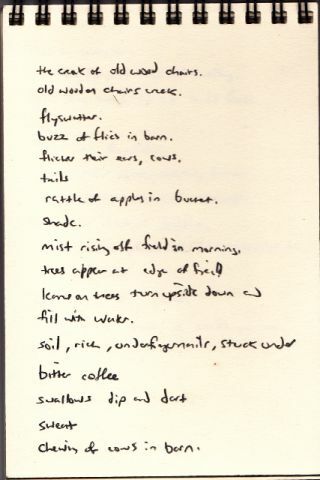 I recall really enjoying them, but he’s written so many—and was so prolific even back then—that I can’t figure out exactly which ones they were among the titles in his “works by” lists. (This is driving me nuts, to the point where I’ll probably soon be sighted in my local library sitting in the children’s section, leafing through multiple Pinkwater volumes.) Still, the author’s name summons a vague memory of cleverly offbeat writing. She soon finds some new friends, both of whom are temporary residents of the local old-fashioned insane asylum: an extremely eccentric Vassar professor and a girl from the surrounding foothills who can read minds. Neither is really all that crazy, so when rumors about an old Dutch house in the area and flying saucers start to intersect with Audrey’s own hazy memories of her origins, they check themselves out to help her investigate. Now, I suspect this kind of writing, as top-notch as it is, isn’t for everyone, child and parent alike. (I’m not sure what the bellwether would be for kids, but if you’re a parent who hates the early novels of Paul Auster, say, that might be a sign Pinkwater’s not for you.) But if you and your kids enjoy random, imaginative, and definitely weird plotlines, laced through with intelligent wit, I think you’ll find Adventures of a Cat-Whiskered Girl, as well as the rest of this author’s voluminous oeuvre, a gold mine. I was just preparing a new book post when some pre-emptive news hit my e-mail inbox: Secret Agent 23 Skidoo will be playing three venues in New York, for the City Parks Foundation, on July 7, 8, and 9. Parents and kids familiar with the artist’s 2008 debut CD, Easy, will know why this is so exciting: Secret Agent 23 Skidoo is the first real success story among the many attempts at “kid hop”—hip-hop for kids. The guy is a revelation, and I’d been interested in seeing a live performance by him since I first heard the album. Video games do not hold a place of honor in the world of most parents; they’re blamed for keeping kids indoors on sunny days, for exposing them to inappropriate violence, for giving them short attention spans. The general parental attitude toward them much like that toward candy: Our kids will inevitably seek way too much, and our job is to do our best to minimize the only marginally tolerable presence in their lives. There’s some justification for this attitude, and I don’t want my five-year-old playing Red Dead Redemption any more than the next parent does. But as I learned during my years at Cookie, there are plenty of video games out there for kids that entertain cleverly and amusingly, some even while stretching their brains a bit—certainly as much as the various board games most of us played as kids did. However, I must shamefacedly admit that mine is among those Luddite households that do not yet own one of the big gaming consoles, so my exposure to most of these games is limited to hearsay. (I’m working on getting some guest posts for this blog from friends who are more expert in the field.) For the time being, Dash’s primary video-gaming medium is the computer—specifically, the TV-show-related websites that contain branded games. His and our favorite among these is PBSKids.org, an astonishingly huge website that has hundreds of games on it, themed to the many kids’ shows the network broadcasts, from Sesame Street to Curious George to Super Why! 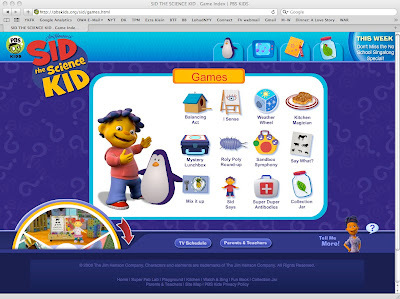 (even, a bit spookily, Mr. Rogers’ Neighborhood—Fred Rogers is giving our kids games from beyond the grave somehow!). The games are quite basic, generally of the Flash variety, but the sheer number of them means Dash never gets bored; the fact that it’s all free is a big plus, too. And they all have at least some educational aspect, from testing simple addition to teaching small scientific or sentence-structure lessons; in addition, he seems to have been motivated by the games to master his mouse and keyboard skills. While we don’t fool ourselves that this is “learning time,” exactly, it’s nice to think Dash might be getting some positives out of an activity he’s this excited about. The games area is merely part of the PBS Kids website, of course, which also includes show-related activities (little painting applications, for example) and, best of all, an immense archive of video clips. I’ve often wandered away while Dash was playing a game on the site and returned a few minutes later to find him watching a classic Grover sketch from Sesame Street that originally aired when I was a kid. He seems to revel in the choice: He can bounce from game to activity to clip and back to game with the click of a mouse, indulging his whims entirely in ways a five-year-old rarely gets to do. It is true that we often have to tear him away from the website to, say, go outside on a sunny day. And inevitably, he wants to play these games far more often, and for far longer stretches of time, than we’re happy with—we haven’t evaded that battleground by any means. But at least with the PBS Kids site, we feel pretty good about what he’s playing when we’ve decided he’s earned a little candy today. Having followed the kids’-music scene fairly closely for some years now, I sometimes forget that its foremost practitioners aren't in fact world-famous, even just among parents. So when I hear that someone like Justin Roberts has a new album out, it takes me a moment to remember that every parent in the U.S. may not instantly know, too. For the uninitiated, Roberts was among the first wave of musicians to import the indie-pop sound that has since taken over much of kiddie rock; his vocals have an earnest quality that sounds a bit like Ben Gibbard of Death Cab for Cutie. His lyrics are clever (the rhymes) and simple (the subject matter) all at once, and always flow through the songs lightly and easily, with nothing forced. 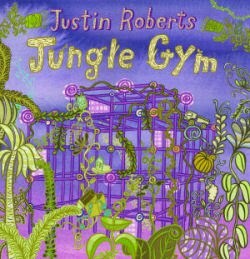 On Jungle Gym, Roberts focuses on the experiential, providing kid’s-eye viewpoints on subjects like snow days, fire drills, and signing casts, and he gets the tone of a typical child’s reactions to these slices of life just right. And the music on Jungle Gym is as catchy and energetic as ever. Upbeat songs like “Obsessed by Trucks” and “We Go Duck” will get your kids moving, but they also contain enough layered harmonies and complex underscoring to keep adult eavesdroppers happy. It’ll parents of a certain age in mind of the poppier sides of REM, Nick Lowe, and Robyn Hitchcock—or even, occasionally, of both the adult and kids’ music of They Might Be Giants. My wife and I did pretty much the same with picture books when Dash began reading those, of course. But there’s a difference, since chapter books come in so many different levels of sophistication and maturity, from the basic introductory readers all the way up to Finnegan’s Wake. And if I’m honest with myself, many of the books I’ve been thinking of introducing to my five-year-old lately are books I didn’t read myself until I was more like ten or twelve. 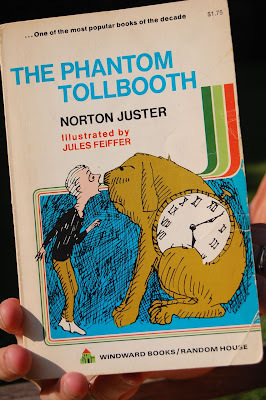 Despite that, I recently pulled my old copy of Norton Juster’s The Phantom Tollbooth off the shelf. I knew some of the wordplay for which this book is justly renowned would go over Dash’s head at this point, but I thought the light, offbeat tone of the narrative would fit his sense of humor pretty well. (Plus there are all those great Jules Feiffer illustrations, which I knew he’d enjoy.) 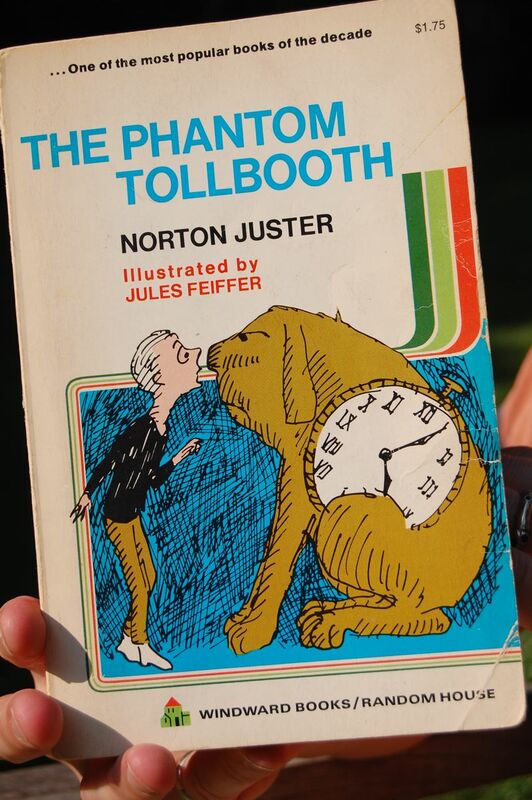 But as I opened it, I tried to remember when Tollbooth had become a cherished book for me. I couldn’t remember the precise age, but I was definitely a good deal older than five. Still, the book wasn’t a failure with Dash by any means. We read it over several nights of bedtime reading, a few chapters at a time, and he was always ready to return to it each night. It did not become one of those sad, rejected chapter books that never get past the first evening or two, and then sit pathetically on the nightstand until I give up and put them back on the shelf. Dash liked the main characters, especially the trusty watchdog Tock, and the quest storyline. He liked the tone and the humor. He liked the book. But I didn’t sense he was really into the book, not the way I had been. I’d supposedly prepared myself for this, having realized that Dash might still be a bit young for the weightier issues that make up much of the subtext of Tollbooth, or even that the book might not be as much to his taste as it had been for me. And yet...I couldn’t deny that I felt a little disappointment (which I concealed) that he didn’t just lurve it. Which brings me back to that parental danger sign. There’s a certain hope in all parents, I think, when we introduce something we love to our kids, whether it be a favorite dessert or a treasured movie or book—and, yes, a certain amount of disappointment when they don’t appear to like it precisely as much as we did (or, worse yet, at all!). Mostly, we’re just after that rush that comes from watching our children experience something that blows them away; when we’ve primed ourselves to expect that, it’s disappointing not to get our fix. Now, I will certainly continue to bring the books and movies and everything else I loved as a kid to Dash’s attention when he seems ready for them (OK, maybe sometimes a little before). But I’m going to try to leave his personal experience of all this stuff in his own hands, and to keep my expectations—well, not necessarily low, but simply out of the equation as much as I can. 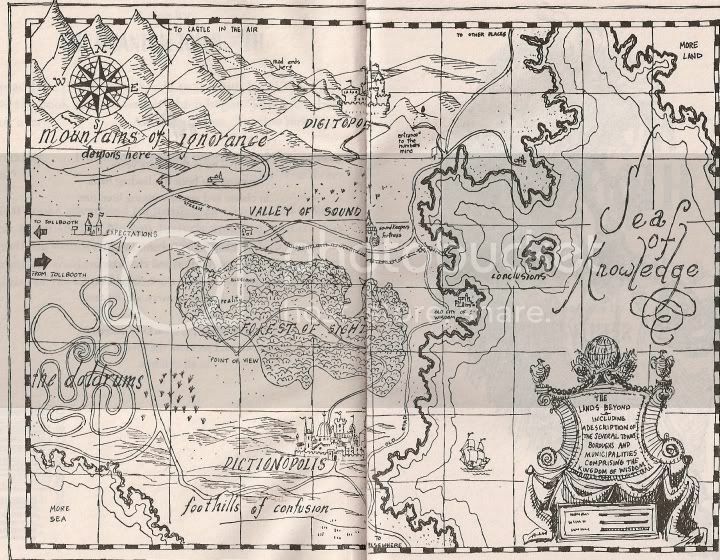 And maybe I’ll hold off on reading Philip Pullman’s (brilliant!) His Dark Materials series with Dash until he’s seven. Or at least six and a half. There are some picture books that, I have to admit, I’m eager to read, day or night. I may even be guilty now and then of attempting to influence my son’s decision on a given evening so he’ll choose one of them for the bedtime read. A lot of these are, of course, old classics I love from my own childhood, but a few are new books that the whole family has grown to love together, as corny as that sounds. Foremost among them is Mini Grey’s Traction Man series. Grey is an established English author-illustrator whose professional training in theatrical design is obvious from her picture-book work, which is clever and dazzlingly imaginative, and we’ve encountered and enjoyed much of it over the years. But we always return to her Traction Man books—Traction Man Is Here! 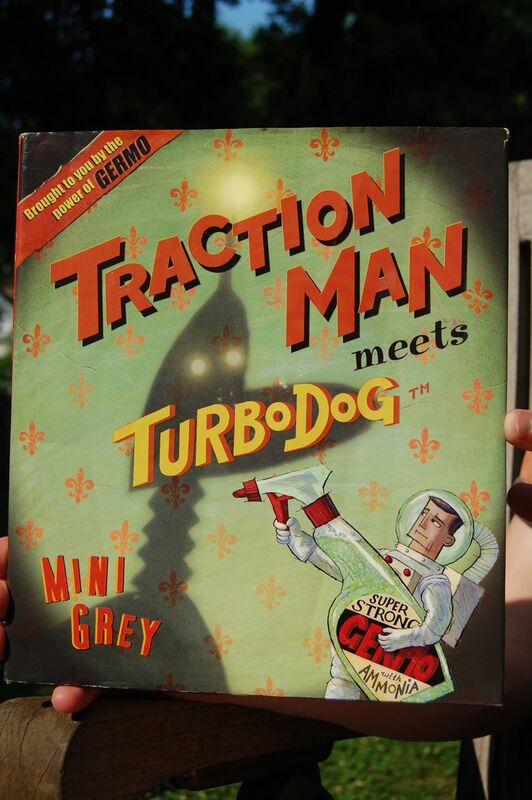 and Traction Man Meets Turbodog—in which Grey makes brilliant use of the popular sentient-toys trope. Now, it’s enough fun just to read lines like that in the appropriate Shatner-esque tone of voice, and we’ve amused ourselves and our children doing just that countless times. (Perhaps we should be beginning to get a little less amused after the fiftieth time, but we’re not.) What makes these books especially clever, though, and especially delightful, is the subtext: what’s really happening in the household of Traction Man’s owner. In Traction Man Meets Turbodog, for example, the major plot turn comes when Dad decides that the beloved sidekick of his son’s favorite square-jawed action-hero—a worn-out scrubbing brush named, well, Scrubbing Brush—is filthy and unhygienic and must be replaced. He does so surreptitiously, throwing Scrubbing Brush in the trash one night and presenting the boy with Turbodog, a shiny red battery-powered robotic pet for Traction Man, the next morning. Naturally, before long Traction Man—the worry in his eyes mirrored by that in the boy’s—must go in search of his beloved sidekick. 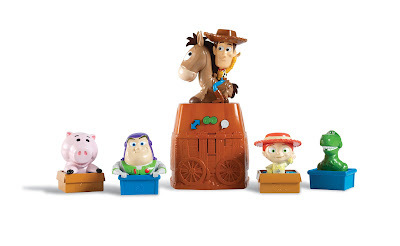 He looks everywhere, asking some cowboy dust bunnies under a bed if they’ve seen his friend, delving far down into the Grand Sofa Canyon, all in vain—until he hears a muffled noise coming from the outdoor trash can (from which, of course, no one has ever returned alive). But Traction Man, nothing if not loyal and courageous, arms himself with a large spray bottle of SuperStrong Germo with Ammonia and climbs in to fight off the evil Bin-Things and rescue Scrubbing Brush. It’s impossible to read this stuff without a smile on your face, and kids, quickly getting and enjoying the two levels the story is working on, love it too. Better still, Grey’s books never get old; we come back to them again and again to find the same amount of pleasure we had on first encountering them. In fact, the only complaint I can come up with is that there are only two books in the series thus far. So beyond extreme admiration, that’s my message to Mini Grey: We want more Traction Man adventures! 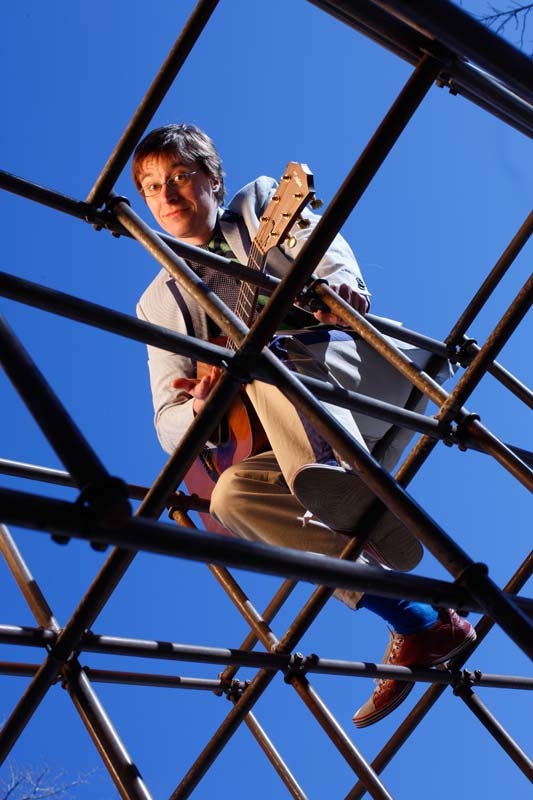 There’s no question children’s music has improved leaps and bounds in the past several years, both in overall quality and in the number of artists of that higher quality. 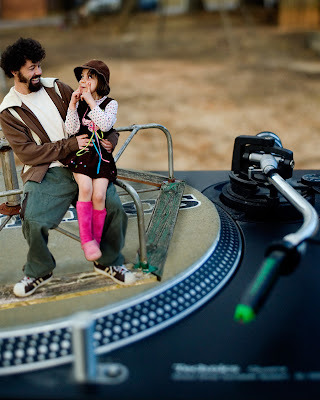 But while it’s great that musicians capable of professional-quality adult rock, pop, and even hip-hop have turned to the grade-school and preschool set, let’s face it: Parents’ gratitude rarely extends to listening to albums full of songs about pirates and bedtimes when the kids aren’t around. 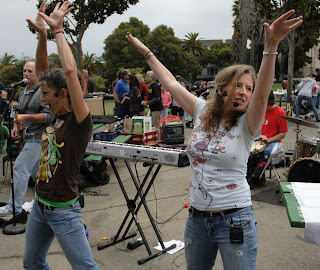 The Bay Area’s Charity and the JAMband get that. Just from the title, you know Party Like a Twinkle Star’s subject matter is unabashedly for kids. And frontwoman Charity Kahn, whose smooth, easy voice sounds like a cross between Carole King and Joan Osborne, has a knack for never forcing things with her lyrics: A simple song about pancake ingredients is a simple song about pancake ingredients, and that’s just fine. More than fine, in fact—it prevents the cloying factor that’s still the bane of so much music for children, even nowadays. 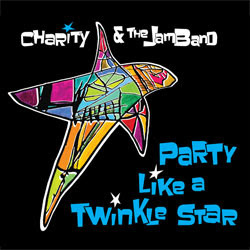 So while the words will always keep you apprised of Charity and the JAMband’s focus on entertaining your children (just from the energy in these tracks, I bet they put on a hell of a live kids’ show), you’ll find yourself enjoying the melodies and harmonies just as much as they do. And, “best of both worlds” high-profile exceptions like They Might Be Giants aside, isn’t that what the new era of kids’ music is supposed to be about? I first saw the art of Nicoletta Ceccoli in a book given to my older son when he was about three, a tale of what cats do at night called Oscar and the Mooncats, by Lynda Gene Rymond. The story was cute and spot-on for both the age group and Dash in particular (who loves cats), but what struck me immediately was the illustrations: gorgeously textured, slightly surreal paintings whose human and animal faces all had a particular stylized roundness. Ceccoli’s fingerprint was one I knew I’d always recognize. I kept an eye out for more work by Ceccoli in the American market. (In the meantime, I learned she’s long been well regarded in her native Italy, having won the Anderson Prize there as best illustrator of the year in 2001.) Last year, I ran across How Robin Saved Spring, by Debbie Ouellet, an old-fashioned fable about various animals’ attempts to awaken Sister Spring and prevent Lady Winter from maintaining eternal frost. The story is lovely, but the art again takes it even further; once you’ve read it, you really can’t imagine it being accompanied by anyone else’s illustrations. 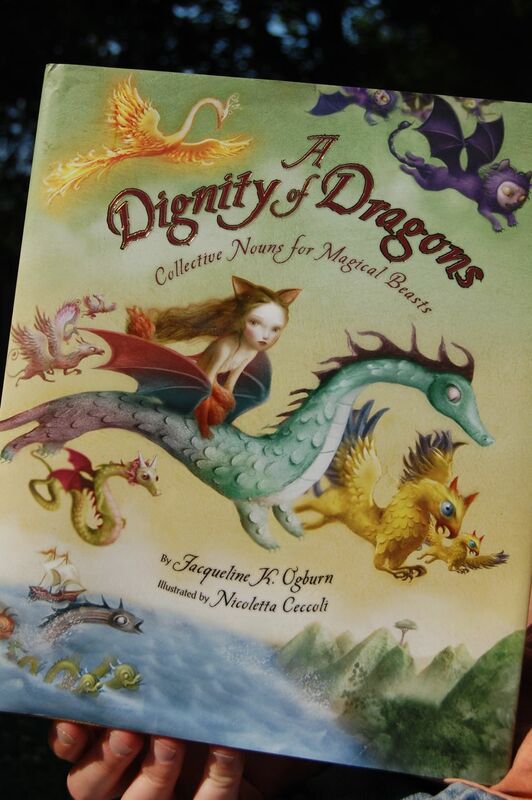 Then last month, I got my hands on Ceccoli’s latest work, A Dignity of Dragons: Collective Nouns for Magical Beasts, by Jacqueline K. Ogburn, a list book for early-graders inspired by the question “What do you call a group of unicorns?” Ogburn decided to come up with answers not just for that particular mythological creature, but for a bookful of them from around the world: a grapple of griffins, a flurry of yetis, etc. (It ends with a glossary explaining the background on each.) Every spread features a few of the creatures, grouped by habitat (yetis, abominable snowmen, and Bigfoots get one to themselves) or by region of origin (there’s a Greek page for centaurs, fauns, and minotaurs). Even at a more macro level, the art speaks for itself. Open to any page and you’ll see something I don’t think any other children’s-book illustrator could accomplish in the same way. She’s shown in just the three books I’ve read that she can take a good picture-book concept and elevate it to the greatest heights. What higher praise is there for someone in this line of work? While I await Ceccoli’s next picture book for the U.S. market, I think I’m going to start trying to dig up some of her Italian work. If I’m honest, I have to admit I was resisting the movie of Where the Wild Things Are, the DVD of which is really only new-ish by now. Maurice Sendak’s classic picture book holds an especially dear place in my heart, both from my own childhood (I think Sendak, like Mr. Rogers, will always be a touchstone for our entire generation) and as one of the first favorite books of my older son. I’d heard all the good things, including the author’s own enthusiastic endorsement of director Spike Jonze’s interpretation; I’d seen the stunning previews. Actually, the previews may have been part of the problem, because they revealed the introduction of a backstory to Max’s escape. While I recognize the necessity of such things when you’re turning a 48-page picture book into a two-hour movie, it still worried me: I really didn’t want to see Sendak’s wondrous dreamscape reduced to a banal pop-psych explanation—a kid upset with his mom for having a boyfriend. So we never did make it out to see the movie when it was in theaters. But when we realized last weekend that we’d put off seeing How to Train Your Dragon in theaters until it was no longer in any local ones (the closest apparently being 3,000 miles away in Anaheim, California, by that point), we had to manage Dash’s disappointment somehow. 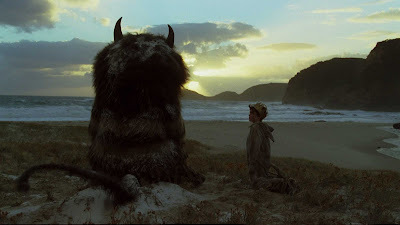 Remembering that I had finally allowed Where the Wild Things Are to reach the top of our Netflix queue, I grasped the opportunity it allowed us: to rescue our all too vaguely planned Friday movie night. There, he meets the remarkably dysfunctional Wild Things, who include the sad, sensitive, but violent Carol (voiced by James Gandolfini); Judah (Catherine O'Hara, brilliant as ever, even just as a voice), the self-described “downer” I'd describe more as a kvetcher; and Alexander (Paul Dano), the mopey one who complains (accurately) that no one listens to him. They are about to eat Max when he saves himself by claiming he is a king, and should be theirs. Desperate for leadership, for someone who can make sense of their world for them, they quickly agree enthusiastically, at which point the famous “wild rumpus” does indeed start. Of course, after auspicious beginnings, Max cannot possibly live up to the group’s expectations of him. Soon enough, they discover he’s not a king, and in fact is just like them: unsure of himself; frustrated and often bitterly angry that things never quite turn out as one hopes they will; disappointed in others and in himself. We’re on pretty existential ground here, you’ll notice. Which is all very well for adults, for whom the movie works well, for the most part, as a poignant look at the frustrations of being a kid in a world that’s often disappointing and confusing. But this brings me to the other reason I think we never made it to the theater last year to see this: Who’s the movie for? Is Where the Wild Things Are a kids’ movie? I wasn’t sure back then, and now I see why: I don’t think it really is. Mind you, there’s nothing objectionable, or really frightening, that makes it explicitly not a kids’ movie, either. It held Dash’s attention all the way through, and he enjoyed it well enough. But most of the heart of the film—the existential angst, if you will—went right over his head; he’s just too young, thankfully. When he experiences the feelings of frustration that this movie is about, he just gets angry, as Max and Carol do in the film. He doesn’t get wistful or sad, or start reflecting on the imperfections of existence. One last thing: Visually, the film really is astonishing, and I’m sure that fact would play a far larger role in my writeup than it has, had we seen it in the theater. It still comes across at home (on a normal-size screen—we haven’t gone to the giant TV yet), but you simply appreciate the beauty; it doesn't blow you away, as I suspect it might on the big screen. So after all my hesitations and caveats, I kind of do wish, now, that we’d gone to the theater to see it! The game has several modes—solo and multiplayer timed games, in which you’re trying to get through a set number of questions in the fastest time; a memory game, in which you have to remember a sequence of challenges as it builds up; and a hide-and-seek treasure-hunt game. You can set up the four target characters just about anywhere kids can get to, and thus make the timed games quite exerting in a decent-size backyard—but the games can also be played indoors on a rainy day, in one room or spread throughout a house. Parents can join in and play with the kids (depending on how much sleep you’ve been getting, you may or may not have to ease up on them) for a whole-family game, but it’s also simple enough for kids age three and up to play on their own. In short, you have lots of options. It’s not super-high-tech, but all in all, you and your kids end up with quite a lot for your 25 bucks or so. Which is precisely what I’ve always appreciated about Wild Planet. I wrote recently about how you know at first glance sometimes that a picture book might be special. Well, in some cases, you don’t even need the glance: when you’re already familiar with the author's work. My first exposure to writer-illustrator Elisha Cooper’s work was his lovely 2006 picture book Beach, which takes the reader through a full day by the shore. Somehow managing to be macro (evoking the feel of a lazy beach day) and micro (including pinpoint details like sandy toes and beach balls floating away) all at once, the book was a revelation to me—at only two years in to parenthood, I hadn’t yet discovered the joys of the contemplative children’s picture book at the time.